Architectural Digest Spanishhas the excellence of Architectural Digest with a Spanish focus. 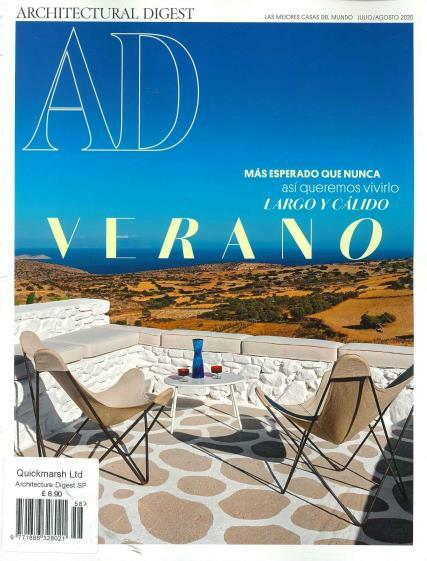 Buy a single copy or subscription to Architectural Digest Spanish magazine. Stunning photography combines with feature articles on the homes of famous Spaniards and travel through the interior of Spain. See courtyards, gardens and aged buildings with classic modern designs in the Spanish edition of Architectural Digest. Other types of articles that can be found in the Spanish version of Architectural Digest include articles on flooring design including the newest trends in glass tiles, ceramic tiles, wood floors, and new composite materials. In addition to articles there are book reviews, commentaries, reviews and listings of recent exhibitions and shows and and travel information for Spain and around Europe. See Spain through the eyes of writers that know the country and its architectural gems.